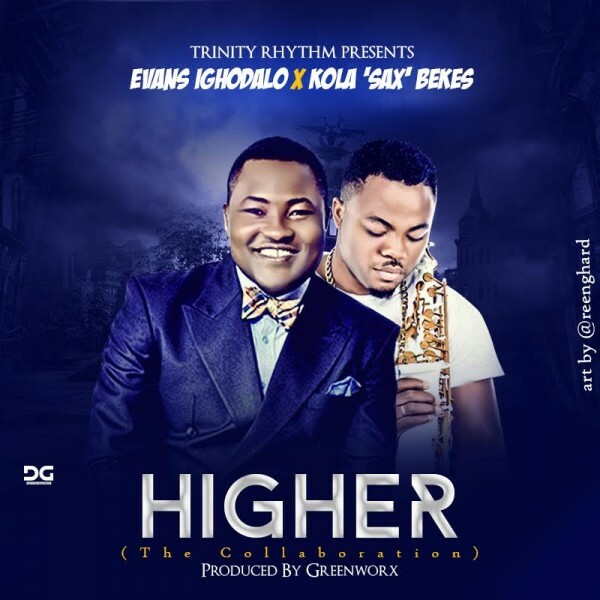 After a graceful entry into the Nigerian Christian music industry with his debut single “Drink From The River”, Evans Ighodalo teams up with Kola Sax Bekes in the release of a new number ‘Higher’. Higher is a highlife tune testifying God’s goodness, protection and promotion in our lives, rendered in pidgin English language. The sound of the lead guitar and percussion finely blended by Greenwox, the producer of the track, as well as the scales run by Kola on the saxophone, makes it one to drive you into a mood of joy while thanking God. Evans Ighodalo and Kola Sax currently serve with The Avalanche of the Commonwealth of Zion Assembly (COZA). Both are songwriters, singers and fathers. Kola Sax Bekes is arguably one of the best saxophonists in Nigeria.